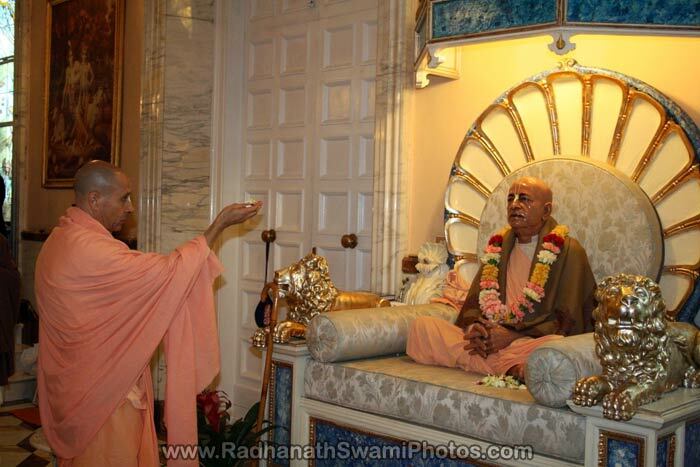 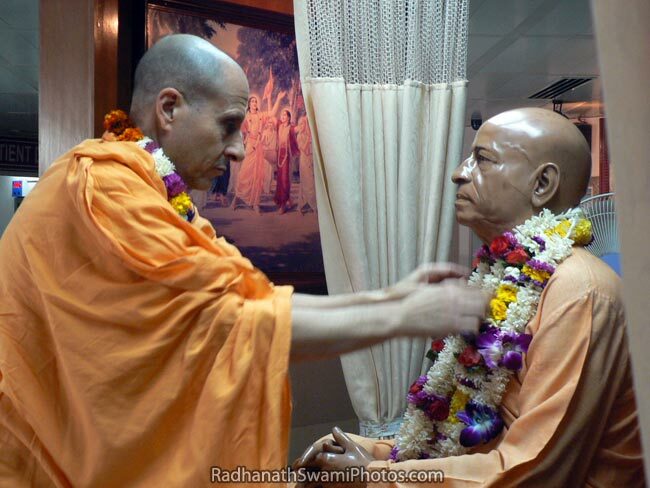 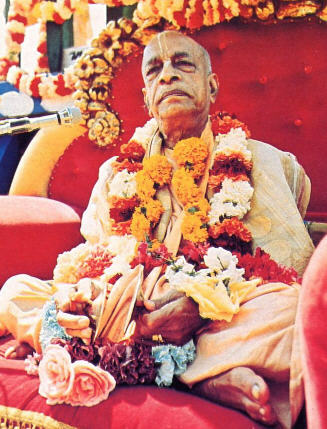 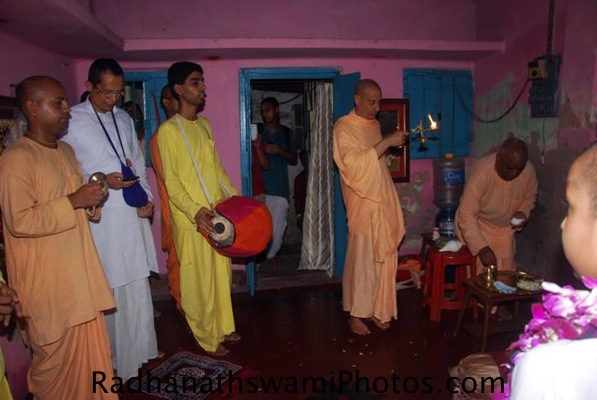 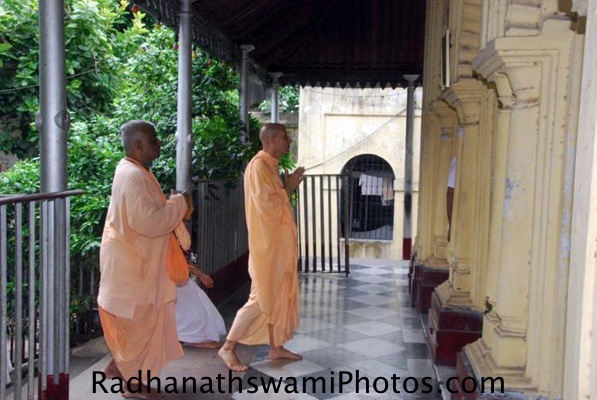 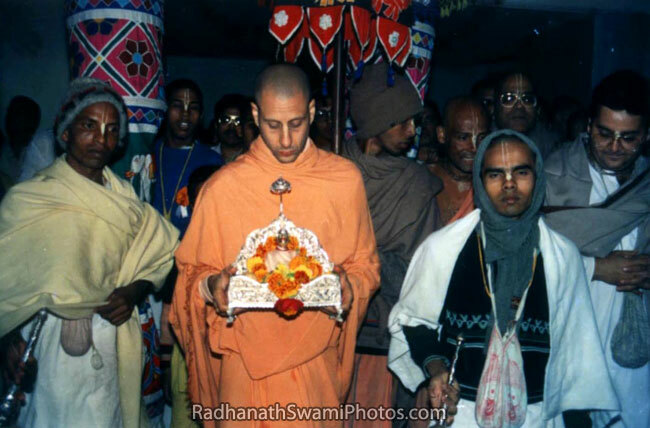 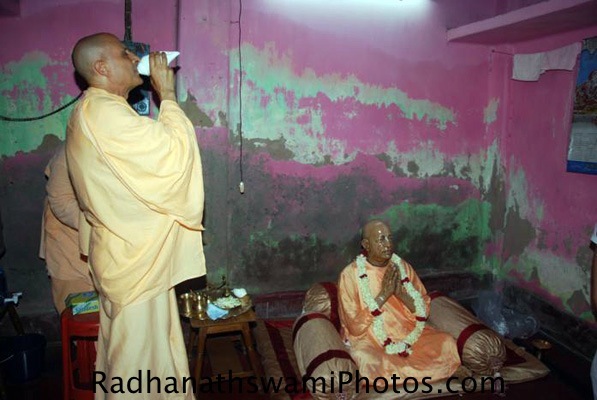 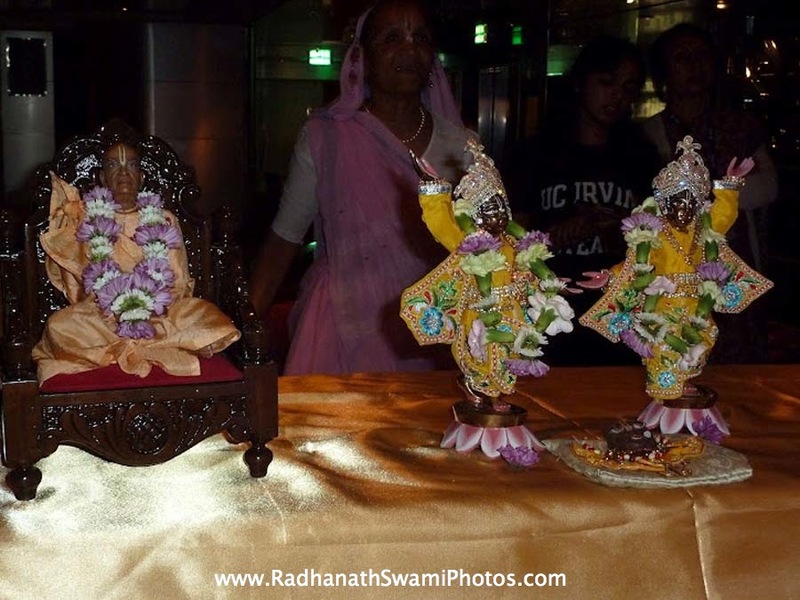 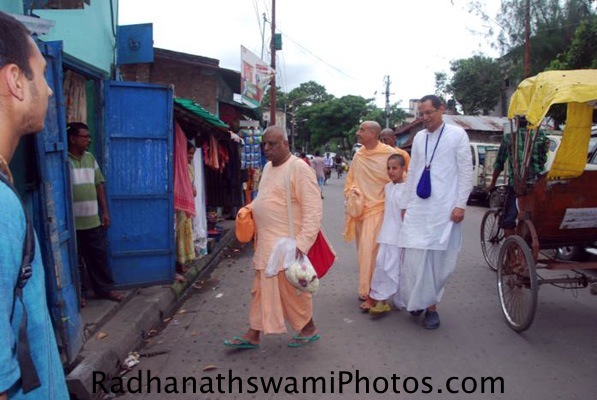 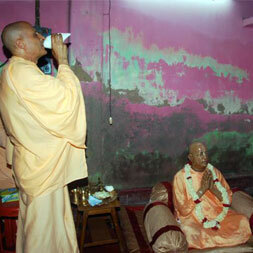 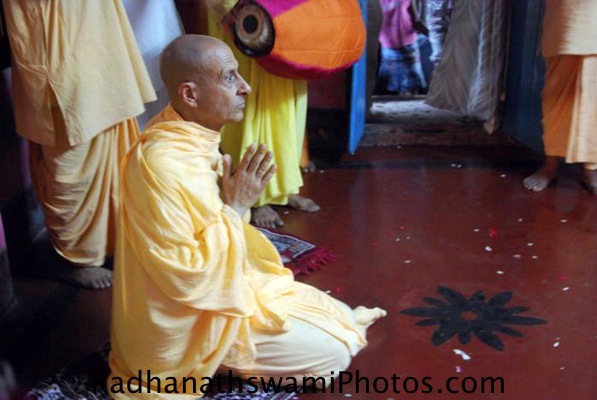 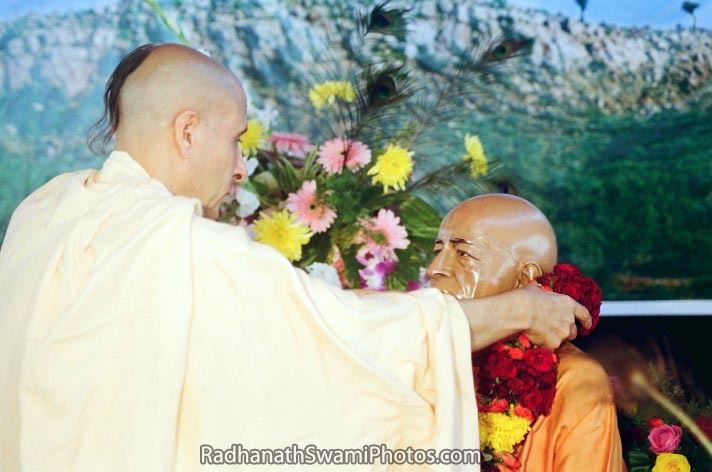 His Divine Grace A. C. Bhaktivedanta Swami Prabhupada, founder Acarya of The International Society of Krishna Consciousness, accepted Radhanath Swami as his student and disciple in Vrindavan, India, 1971. 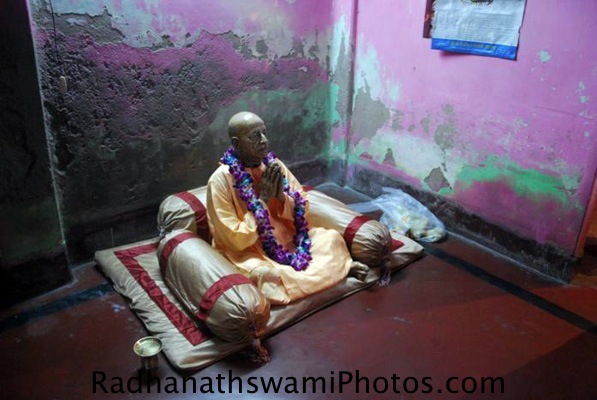 Born Abhay Charan De on September 1, 1896, in Calcutta, as a youth he became involved with Mahatma Gandhi’s civil disobedience movement. 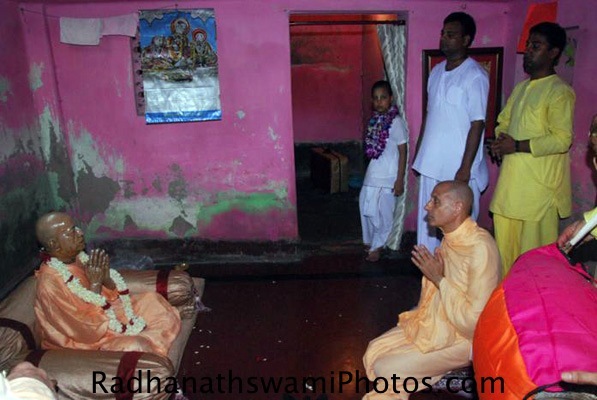 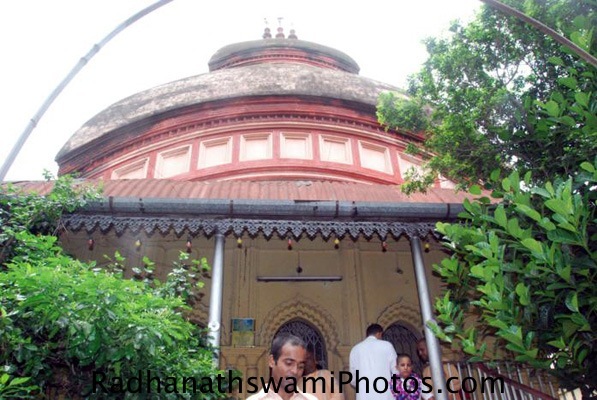 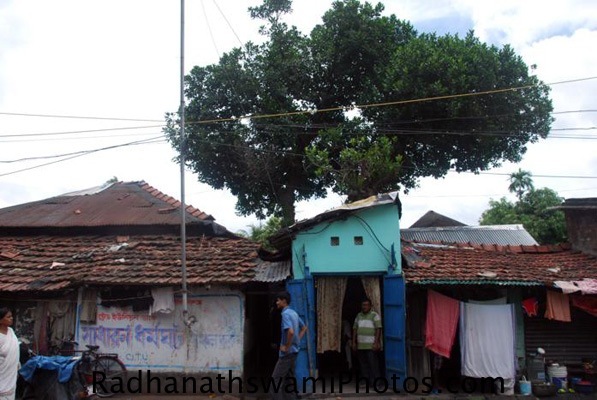 It was, however, a meeting with a prominent scholar and spiritual leader, Srila Bhaktisiddhanta Sarasvati, which proved most influential on young Abhay’s future calling. 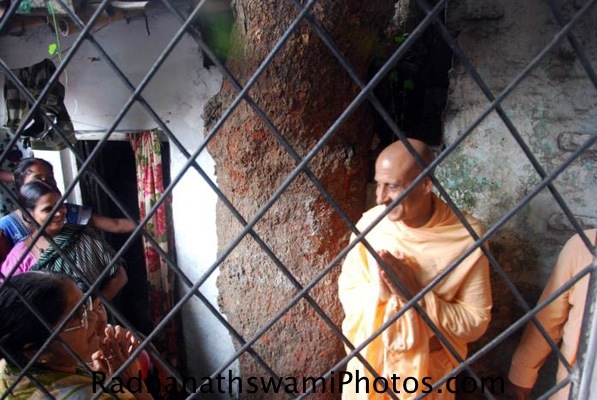 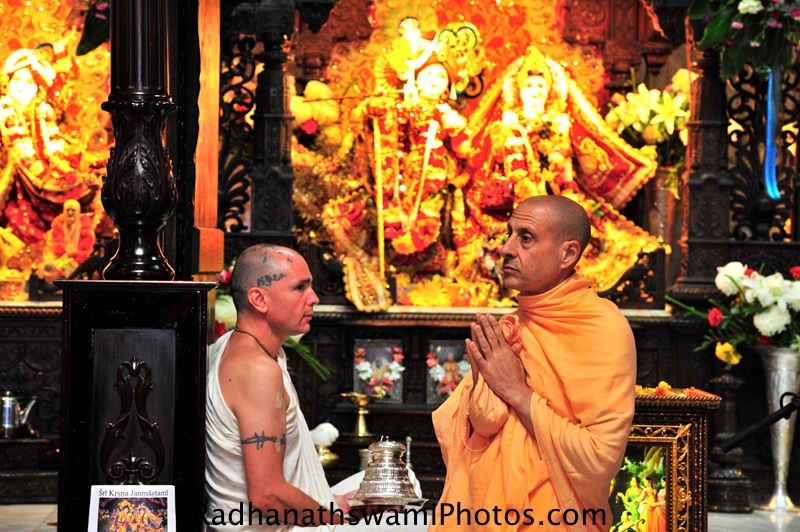 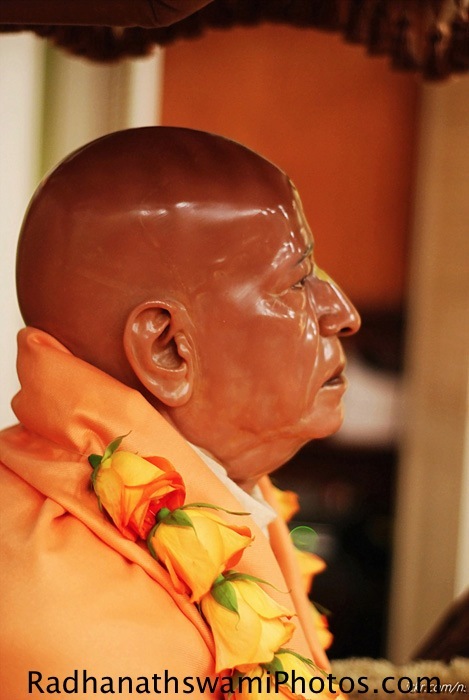 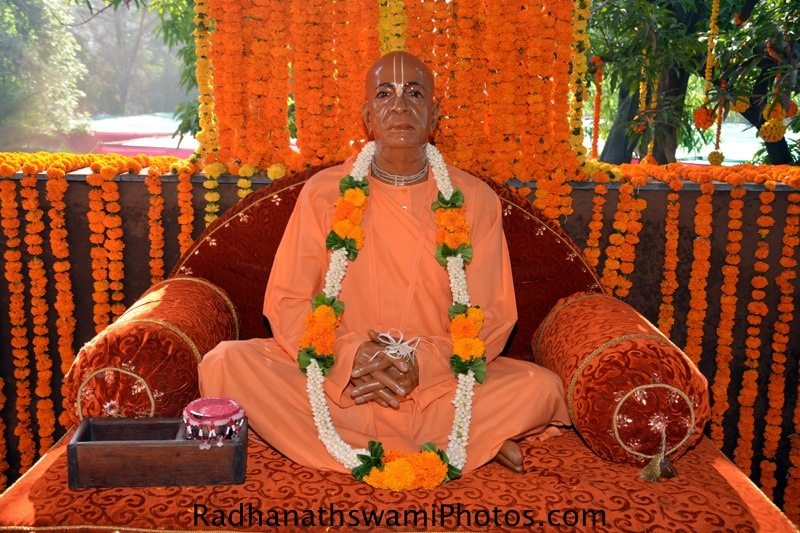 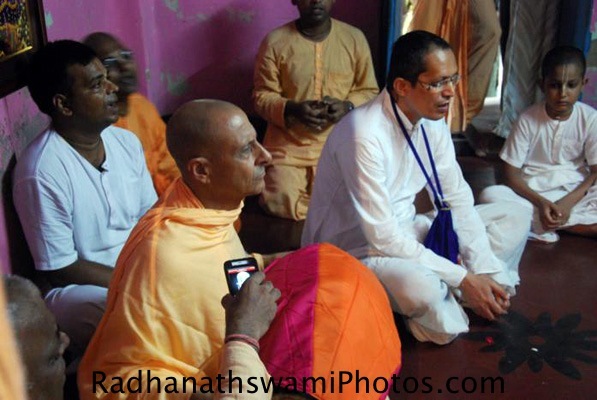 Upon their first meeting Srila Bhaktisiddhanta, who represented an ancient tradition of Bhakti (devotional yoga), asked Abhay to bring the teachings of Krishna to the English-speaking world. 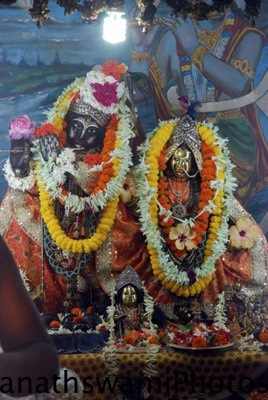 From birth, Abhay had been raised in a family devoted to Krishna – the name meaning the all-attractive, all-loving Lord. 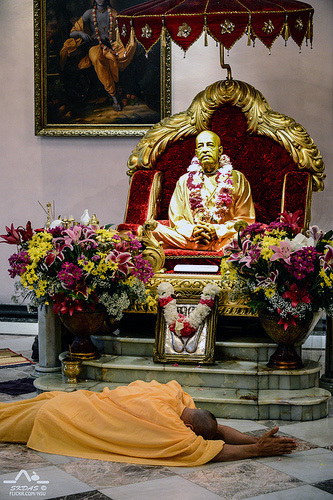 Deeply moved by Srila Bhaktisiddhanta’s devotion and wisdom, Abhay became his disciple and dedicated himself to carrying out his mentor’s request. 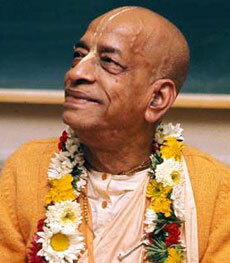 But it wasn’t until 1965, at the age of seventy, that he would set off on his mission to the West.